You know how when the weather changes, your wardrobe does as well? You instinctively trade in your sandals in for boots and your t-shirts for sweaters. What about your marketing strategy? Do you make the necessary changes as the year progresses? Have you traded in your in your summer tactics for something more aggressive? Your marketing plan should be a fluid document. 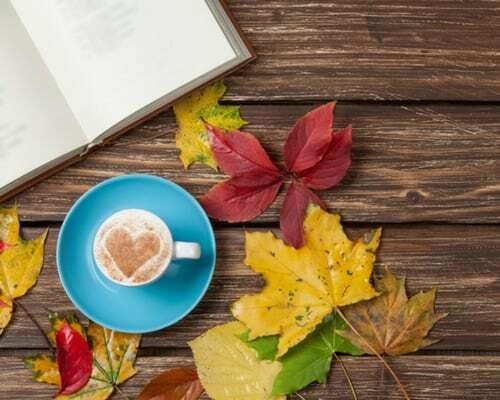 Not only should you plan for seasonal changes, but, you should also be prepared for unforeseen changes. As the holidays approach, everyone gets busier. Your business, your home life, and school, all come with added holiday demands. But, you can stay ahead of the curve if you plan accordingly and get a jump start early on. 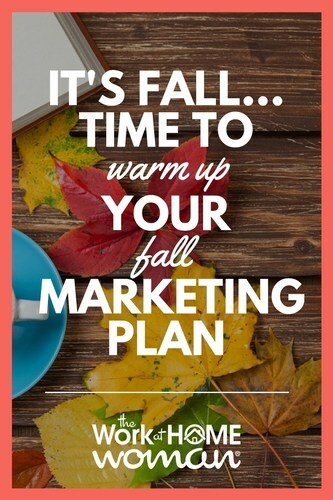 Here are some tips you can use to warm up your fall marketing plan. 1. Keep in touch all year through. Consumers are overwhelmed with holiday promotions, coupons, sales, and deals. Do you want yours to stand out? You’ll have better luck if you’re a familiar face. Meaning, don’t promote only during the holidays. Keep your mailing list up-to-date throughout the year and send out regular communications. Be active on social media all year long, not just in the weeks leading up to Christmas. The more familiar your audience is with your brand means they’ll be more likely to want to purchase from you. And, they also will be quicker to recognize that the deal you’re offering is a great one. 2. Update your social media look. One of the best things about social media is the ability to easily update your look. Think the holiday cups at Starbucks. While you’ll want to keep your overall brand consistent, social media is a great place to add seasonal images or touches to your marketing. Simply updating your cover photo with some autumn foliage or conducting a pumpkin spice versus salted caramel poll, can attract attention. Social media platforms are the easiest place to demonstrate that you are staying current with trends and pop culture. The worst feeling is one of not being able to stay above water. If you’ve ever felt like you’re drowning during holiday seasons past or are even slightly anticipating it this year, make sure you’re prepared by having help you can call on. If you don’t have a regular assistant, you might want to find one that you can use as a temporary, on-call option. This can help keep e-mail and bookkeeping stress minimal. If you craft or make a lot of your products yourself, it would probably be worth finding someone who can help you for the short-term. Whether that is sewing or just packaging, it never hurts to have an extra set of hands. 4. Set your calendar and stick to it. Organize and plan in advance for the busy holiday season. Implement coupon codes with specific valid dates ahead of time. Look at your personal schedule as well as trends from the past couple of years. How late can you plan to take orders and still guarantee holiday shipping? Take into consideration busier mail service and less time to work with your increased personal commitments. You’ll have better luck honoring a plan you’ve had established, and your customers will appreciate it if you’re upfront and honest. One of the best ways to draw attention back to your brand after a slow summer is by hosting a contest. There is, of course, a multitude of ways to do this. Social media is a great avenue, a blog post can work, or even a live event if you have a local market. If you have seasonal products or specials, a contest can be a great way to get the word out. However, your contest doesn’t have to be directly related to your business. For instance, you could give away day passes to your local pumpkin patch. This strategy will help you reach potential customers outside of your normal circle and hopefully gain the exposure you wouldn’t have otherwise gotten. 6. Encourage early holiday shopping. It’s never too early to shop for the holidays. Some people do it all year long. By running promotions and encouraging people to shop early, you can give them a deal and make them feel better about their holiday to-do list. With plenty of time left until the holiday season, the chances that you might create some return customers are even better. The name of the game is preparation. It’s better to be prepared and not utilize all of the resources you have lined up than to be unprepared and need to call on help last minute when it might or might not be available. What have you done recently to change up your line of attack? Do you have regular seasonal marketing strategy changes? Share, we’d love to hear about them! Originally published September 24, 2013. Content updated on September 27, 2017. All great ideas! The last tip (as is the first) is a gem with more people than ever shopping sales throughout the year for that special holiday gift. Glad you enjoyed Dawn’s tips, Alisia! Thanks for your comment, Josiah! Relationship building is so key. It’s time consuming, but so worth it! Couldn’t agree more with your first point Dawn. Building trust takes way more than just a few funny memes shared over social media 3 weeks before a major holiday :). So true – building relationships is an ongoing process.